When I read this, I see what Oliver sees when he first meets Fagin. I can sense the dread of meeting such a character in such a place. As of now, I don’t have a favorite quote that stands out. What stands out for me is the way Dickens can describe a scene and how he makes it believable, even when the actual situation is not all that believable. He is a master storyteller. 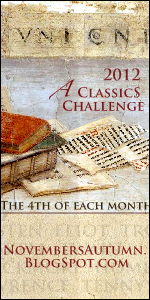 This entry was posted in Books and tagged Charles Dickens, Classic Literature, English Literature, English Writers, Oliver Twist, Reading Challenges. Bookmark the permalink. 38 Responses to Is Dickens too dramatic? great description. In my opinion Dickens is not overly dramatic. He is sufficiently, deliciously, wonderfully dramatic! Thanks Kate. I loved how you put it! I would love to know what you think about his writing since we read different types of books. Your teasers are always so tempting to me! I am getting caught up in Oliver’s story. So far the challenge is fun…I like that there aren’t too many expectations and you can approach in several different ways. I also love quotes from books and movies. The problem with Dickens is that he has so many. I’ll try to narrow down some of the better ones. That is a good point that his drama has made his novels last through time. Thanks! Yes…his words simply weave magic. That is a wonderful way to put it. I love how he can make me see, feel, and almost touch the scenes he describes. Other people’s drama can be entertaining that is for sure. I am loving his writing…so inspiring! It’s a tribute to his writing style that we are still reading his stories after all this time! He writes about how earnest, flawed characters triumph over adversity, and that never goes out of date. It is always fun to cheer for the underdog! And Dickens knew how to create lovable underdogs! Your words are lovely Nia. Yes life can be dramatic and Dickens brings his readers into these drama with such style and flourish. And he makes you think. Thanks so much for your wonderful comments. I hope you enjoy the books Nia. I’m sorry to hear that they raised the prices for customs. I think books should be free to deliver, but I’m a book lover. I look forward to our discussions. Take your time and enjoy them! 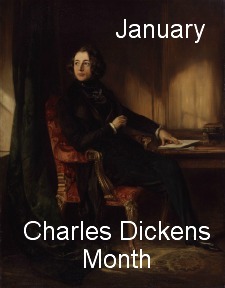 I actually don’t know if I’ve read any of Dickens’ work, aside from A Christmas Carol, which I love. I haven’t read A Christmas Carol, but I plan to this upcoming Christmas. 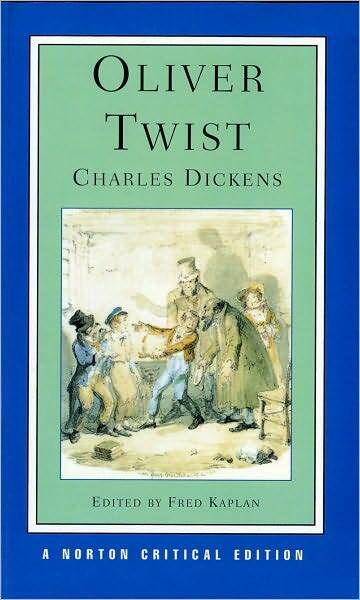 If everything goes according to plan, it will be the last of the ten Dickens’ books that I want to read this year. I start to have a feeling I might actually enjoy him after all. I love great descriptions. And he is great at atmosphere as well. Just that little teaser shows is brilliantly. That’s great that you are tempted…I love his writing. His descriptions draw me in completely. I’m glad to read your positive endorsement of Dickens as I’m planning on reading Great Expectations in February and it’s my first “real” Dickens – I’ve only read A Christmas Carol and it seems like that hardly counts. I’ve had some reservations about Dickens so it’s nice to hear that he might be different from what I’m expecting. I loved Great Expectations when I read it in high school. I plan on re-reading it this year. I think many people would be surprised by Dickens. Did you see the mini-series Desperate Romantics? Dickens is also important in it. I loved that series. He comes accross as a very peculiar guy. I haven’t seen the mini series. I’ll have to look into it! Thanks for the tip. I haven’t read a biography on Dickens yet (I plan to after I finish his works) but I’ve heard bits and pieces about him from documentaries and shows that makes me think that he was indeed odd and troubled. I chose the word “peculiar” on purpose as indeed he seemed to have had issues but judging from a TV series, no matter how good, is difficult. Now you are really making me want to watch this show! I’m curious to find out more about him and I would love to read some of the biographies on him. The series is based on a book with the same title and I bought that too. I will have to see if he is mentioned a lot. I don’t have it at hand right now. I added the series to my movie list. I’m excited to hear what you think about the book. Oh man I only got 50%. I’ll have to take the quiz at the end of the year after I read his works and hopefully that will improve 🙂 Did you take it? I think I read somewhere the explanation that Dickens’s novels functioned as the Victorian periods “Lost” or “Downton Abbey” or whatever gripping saga. I think those overly dramatic scenes were there to keep the reader emotionally involved. And, I admit, it certainly works on me! And it works on me. I can see the “Downton Abbey” comparison. I’m one of the few people who never watched “Lost.” I find his novels to be gripping and I regret when I have to set them aside to do something else. He had a way with words and setting the reader up for wanting more. I left a link to a Charles Dickens quiz yesterday. Glad you’re enjoying it. I keep trying to start Dickens and just can’t get into him! I loved the Nicholas Nickelby movie, but started the book and it was going a little too slow for me. I can plow through Hardy’s long descriptions, but not Dickens’ for some reason! That is funny. I read Hardy for the first time last year and fell in love with his writing. I hope to read more of his novels. Glad you liked the movie, since Nicholas Nickelby is the next Dickens novel on my list. Thanks for stopping by!